Tucson is in the perfect spot for viewers to see the lunar eclipse clearly. If you need reason to stay up on a school night, the dramatic name of this lunar event should be enough to keep you up. This Sunday's lunar event called a Super Blood Wolf Moon is an event not to miss. Need another reason? 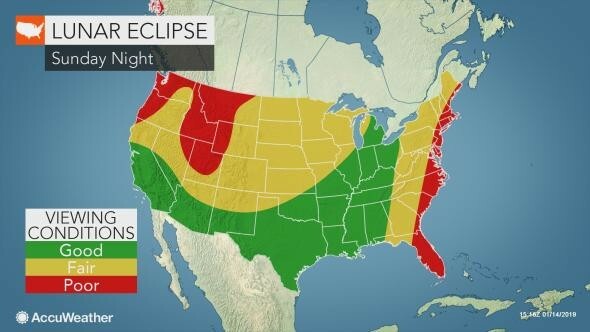 Sunday night, Jan. 20, will be the last total lunar eclipse of the decade. The moon will appear red in the night sky as the moon passes directly through the Earth's shadow. 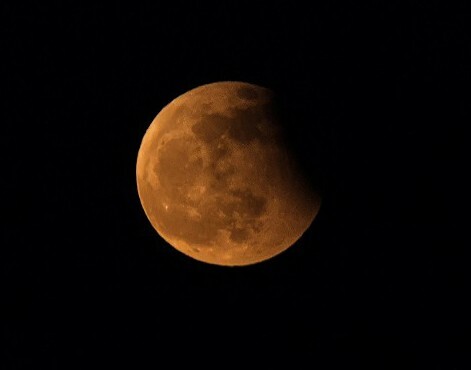 The red color gives this lunar event it's nickname of blood moon. The moon will also be "super" this Sunday, as it appears larger because it is within the closest part of its orbit around Earth. Where does the wolf come in? Full moons in January have historically been nicknamed wolf moons. “In Native American and early Colonial times, the full moon for January was called the Full Wolf Moon. It appeared when wolves howled in hunger outside the villages,” the Old Farmer’s Almanac reported. We are pretty lucky here in Tucson that the conditions will be just right for us to have a great view of the moon throughout the night. The first phase, or the penumbral phase of the eclipse will start at 8:30 p.m. The shadow will then start to move across the moon, covering more and more of it until 9:40 p.m. when the entire moon will be covered for the total lunar eclipse.